Organik started out throwing indoor parties at Cool Runnings in Observatory 8 years ago. They brought down a number of international acts to the tiny dance floor – Abomination, B-55, and Jibaro to name a few. 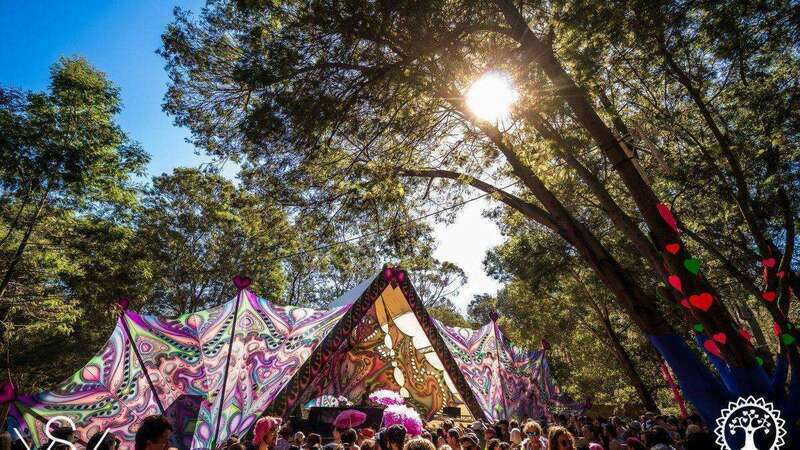 After Cool Runnings closed they teamed up with Groovy Troopers to bring Metamorph, and have thrown a number of outdoor parties by themselves that have a special place in the heart of many stompers. With the winter months approaching there are not many outdoors left. Organik have gone all out with a monster lineup – featuring internationals Xerox and Vertical Mode, alongside locals like Bruce, Dave Mac, Headroom, Psyguy, Skarab and Plusminus. We decided to have a chat with Warren, one of the founders of Organik, to find out what we can expect from Love Project 2013 taking place this weekend. The following questions were compiled on behalf of Psymedia by Evan Greenblo. Psymedia : Howzit Warren! Tell me about Organik’s early years hosting indoor parties, the name, and eventually making the move to outdoors. Organik : Organik came from very humble beginnings – starting out in early 2006 hosting weekly nights at the infamous Cool Runnings (and later Roots) club in Observatory. This grew and became one of the biggest weekly nights in Cape Town – from there we made the decision to start doing bigger, more organised indoors. We chose the name ‘Organik’ because it represents a concept we believe in – an organic progression of energy. We did some big indoors between 2006/2007 and in 2008 we made a decision to throw an outdoor party, bringing down Eskimo who at the time was putting out some good music. To be honest we had no idea what we were getting ourselves into – but we are very thankful that we took the step. Roots closed down and short of retiring Organik – our next move was to focus on doing outdoor parties. From this point onwards I teamed up with my long term partner, Bianca, to form what is now known as Organik. The rest is history. One thing is for certain though, doing outdoor events is extremely challenging: emotionally, physically, logistically and financially. We have learned some invaluable life lessons along the way and are very thankful that we have stuck to our guns. Psymedia : Have you considered running weekly events again? Organik : Every time we see a new good club open up we consider it – although in reality we don’t have the time/inclination to run a weekly event. It is great fun and one gets to meet amazing people on a regular basis – but unfortunately weekly parties are not where we are heading with Organik anymore. Psymedia : Do you think the indoor scene has become oversaturated? Organic : The indoor scene like the outdoor scene, is oversaturated. When Organik started doing indoors the understanding amongst promoters was ‘one party per night’. Now this understanding seems to be lost when winter arrives – with multiple events on the same night every weekend. It seems that events are more localised and more frequent – whether or not this is sustainable remains to be seen. Psymedia : Organik and Groovy Troopers host Metamorph annually as a combined party. This year, Metamorph took place in January as an outdoor. Are there still plans to bring a collaborative winter party in a few months? Organik : Our collaborative Metamorph event with Groovy Troopers has now moved outdoors, and Organik/Groovy Troopers are doing separate winter indoor events. Organik is doing an indoor called ‘Universe’ on the 8th June at the legendary Assembly club in Harrington Street. Top quality lineup and production are standard. Flyers will be distributed at Love Project 2013 – keep an eye out for them! Psymedia : Organik usually boasts an all local line up, however this time you’ve brought down Xerox, the other half of Vertical Mode. How did you select the international, and complementing local talent? Organik : When booking local acts – we book DJs and artists who are putting out mixes and tracks that we listen to at home – nothing heavy or too fast. We tend to focus on a ‘local only’ lineup because we feel our local talent normally outdoes the international talent. However, in the case of Vertical Mode/Xerox– their music is just too good and we couldn’t resist bringing them over. We have been making a slow transition into booking more progressive acts and have always chosen lower bpm daytime acts and high energy morning acts. We feel that the combination of Vertical Mode and Xerox suits our sound and crowd perfectly, with Xerox playing a high energy morning set and Vertical Mode smoothing things out in the afternoon with some serious progressive psytrance. We know that Cape Town will thoroughly enjoy their sets. Psymedia : After last year’s Gaian Dream, do you feel like weather wise, you are always prepared? Will you be taking precautions for Love Project 2013? Organik : Although rain can be seen as a blessing – I don’t think anything can compare to the onslaught mother nature blessed us with at Gaian Dream 2012, days upon days of torrential downpour. After that experience we are no longer afraid of rain at one of our events and truly feel like we can handle any situation weather wise. This confidence is built upon a strong support network of service providers and crew who are always willing to go the extra mile to ensure the event will be a success – this is our backbone. We don’t foresee a storm hitting Love Project 2013, but if it does – rest assured, the tractors and tents are on standby. We know how to handle a muddy situation. Psymedia : The venue is the same as last year’s Love Project. For those who have never been to the venue, what are some of the highlights? Psymedia : How will Organik give back to the surrounding community? Organik : We work with an initiative called Playing it Forward – which supports local causes through donations. There will be a collection box at the gate and we ask everyone attending to please bring any old clothes or blankets they may have – it really does make a difference. This year Playing it Forward is supporting The Overberg Development & Empowerment Centre in Caledon – they will be distributing the donations received to the local school children. This is above the local economic and job creation benefits we bring to the area – we try to employ local people where we can and bring customers into local guesthouses, B&Bs, fast food restaurants, petrol stations etc. – this has a noticeable positive economic impact on the surrounding area. Psymedia : What are your thoughts on some of the more negative aspects that have come to light in the scene – crime, aggression and fake tickets? Organik : I think there are various forces at work here. 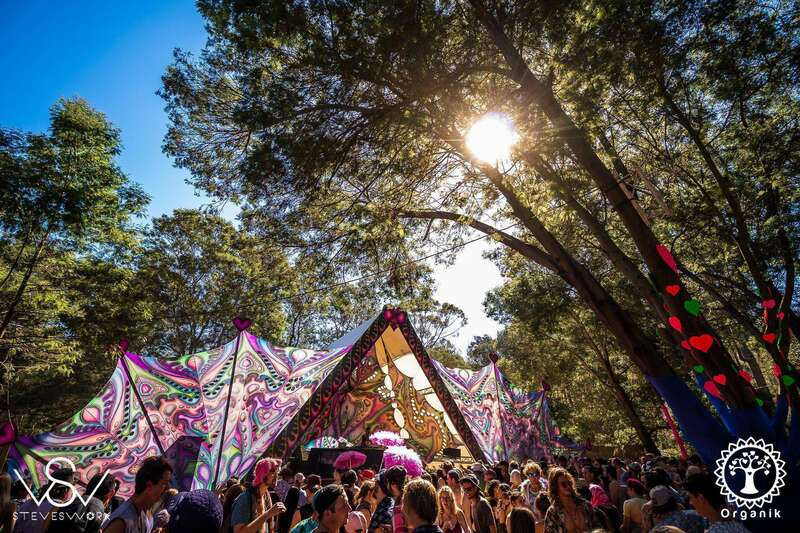 A sharp increase in club style Psytrance might be one of the main influences – it opens the genre up to a wider variety of younger people. With an influx of positive comes an influx of negative. We as a community should be diligent against any sort of negative behaviour – the promoter can put every precaution in place to try prevent theft and aggressive behaviour and despite this, these problems still occur. The real problem stems from within and it will take the cooperative work of the trance community to correct the problems it faces. Psymedia : Are there any plans for Organik Media? Organik : We have hung up the towel with Organik Media. Having other projects on the go, we realised that we can no longer give Organik Media the time and attention it deserves. It was a labour of love built out of good intentions but it required an insurmountable amount of work and cash. We had a good run with four worldwide CD releases under our belt. We see it as our South African contribution to the global Psytrance scene. We are now purely focused on event production and leave the music side of things to the DJs and producers. Psymedia : Thanks for the interview. Check you at Love Project! Any last words before we end off? Organik : Thanks for giving us the chance to have our voice heard – we have great love for Cape Town Psytrance scene and will continue to do what we do for as long as we possibly can. See you at Love Project 2013!